In a great day for Greggs, the bakery chain, the Government has made an alteration to the way that it will charge VAT on pasties, a policy which has become mockingly known as the Pasty Tax. Originally, the proposed legislation would make hot-counter foods VAT chargeable, but after vocal protest from many corners, a new distinction has been made, which has saved Greggs bacon. The chain’s share price rose 7% this morning after the Government’s announcement last night. 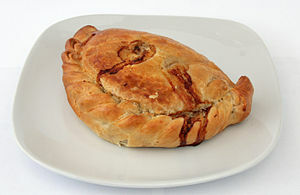 The new proposal is that pasties or foods being ‘kept hot’ in a hot counter will have VAT applied to them, whereas food which is ‘hot out of the oven’ but put on a shelf and left to cool naturally, will not have the charge added. Greggs and thousands of independent bakeries were worried that the originally proposed tax could be applied to anything that came hot out of the oven, including loaves of bread and other staples. This would have inflated hugely the cost of distributing baked goods to hungry office workers on their lunch hour, and either cost the bakeries millions, or cost the consumer an extra quid each. The government’s change of approach comes alongside a softening of the line with its accompanying ‘caravan tax’, which will be brought down from 20% VAT on static caravans to 5%. The difficulty arose because of a wrangle over the definition of ‘static’, an essential definition given that static caravans currently attract no VAT. Whilst these changes of approach are being treated as a ‘climb-down’ by the mainstream media, it is worth pointing out that the government is not actually abolishing the taxes – it is only changing the way in which they are charged. They are still new taxes which will ‘hurt sales’ according to Greggs. Last month Greggs reported a 1.8% fall in like-for-like sales in the 19 weeks to 12 May, so the introduction of a tax on any part of their savoury menu will be unwelcome.